Enrique Kolbeck Vergara is an air traffic controller at Mexico City International Airport (MCIA). He performs his duties from the Mexico Air Center and has over 30 years of experience in the field. He was a skeptic for many years until a single event caused him to change his opinion. And it was precisely an event involving a pilot in 1994, when an unknown object impacted against an Aeromexico liner and damaged the main landing gear – an event that took place of the World Trade Center in southern side of the capital city. “We assume it was an unidentified flying object, because one hour earlier we had received reports from that sector. People said they were seeing something strange,” notes the expert. 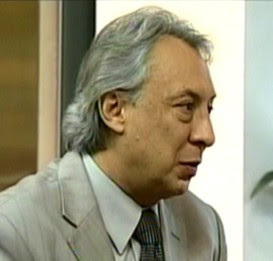 Ana Luisa Cid: Going back to the 1994 case, was the strange object picked up on radar? Enrique Kolbeck: No. Radar has a fixed echo elimination filter. Otherwise, it would do nothing but detect mountains and other things. We’re only interested in things that move, like aircraft, and if that object was suspended, then the radar itself saw it and erased it. It didn’t record it. ALC: And this event made you cease being a skeptic? EK: Of course. I realized that the UFO phenomenon is real and that it is a hazard to aviation. Imagine if that aircraft had plummeted as a result of the impact it received. ALC: Aside from the 1994 incident, are there others that caught your attention? EK: There are several. Some are older and others more recent. ALC: What about the recent ones? EK: Well, we have the Morelia and Aguascalientes cases. ALC: What happened in Morelia? EK: Something completely extraordinary: static spheres over the international airport. The first one to notice them was a pilot, followed by the air traffic controller -- my friend Emiliano Torres Macias – through his binoculars. It was a very famous case, and was even reported on television, but the media did not understand the seriousness of the situation. From a legal standpoint, we would be talking about an obstruction of the air lanes. Do you realize this? UFOs invade any air space without restrictions. ALC: And the Aguascalientes case? EK: That’s the more recent one, from 2008. What’s relevant here is that [the UFO] was physically seen by 5 airliner crews and it could have caused a collision. Five airplanes were in flight – an international one among them – when an object flew within 5 miles of an Aviasca airliner. The UFO came from above, from beyond 40,000 feet. This happened at a confluence of air lanes between Aguascalietnes, the Bajío and Guadalajara. The Aguascalientes air traffic controller saw it head-on and realized that it was not reaching the ground. The object remained suspended in the air and turned itself off. He took a photo of it. Civil Protection commenced a search, thinking something had fallen [from space] like a meteorite or space junk. They even thought an airliner had gone down. The army was also mobilized to no avail. From an aeronautical perspective, what’s fascinating is that the object was coming in neither straight nor leveled. It never touched ground; it stopped, even though it appeared to be in free-fall. And we go back to the same thing: unidentified flying objects put airliner crews in jeopardy, along with passengers and even people on the ground. 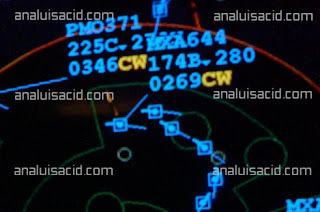 ALC: As an air traffic controller, will discussing these matters cause you any trouble? EK: No. Besides, I’m speaking in my own right. ALC: Have there been more incidents like this one? EK: Unfortunately yes, in Mexico and in other countries. That’s why it’s important that serious study be given to UFOs. For example, if an airliner crashes because a strange object crossed its path, who’s to blame? The pilot or the air traffic controller? I hope this won’t come to pass, of course. However, it’s a fact. The phenomenon is a hazard as it enters our atmosphere. ALC: Of course, even birds in flight have caused accidents, but what do you suggest? EK: First, let [the phenomenon] be taken seriously, let it receive attention and have protocols established for any contingencies, with precise instructions as to how the pilot and the air traffic controller should behave in the event of a UFO encounter. But, as the phenomenon is not recognized in Mexico and it does not exist, of course, there is no way to promote legislation in this regard. I hope things change soon, for everyone’s sake. ALC: What does a UFO look like on a radar screen? EK: It resembles a white dot that moves very quickly, at impressive speed. They look like a primary echo, provided they are not motionless. Besides, they lack an identification code. ALC: Is it possible to mistake them for an aircraft that does not provide identification because it’s engaging in illegal activities? EK: No. No man-made aircraft can fly that fast. This is a parameter that leaves no room at all for doubt. They sometimes exceed the speed of one of our airplanes by a factor of three. ALC: Thanks for your valuable insights, Enrique. EK: Thank you! We can continue our chat at any time. Unseen Neighbors: Intimations of Another Reality?